Free 50MB of Internet when you check-in! 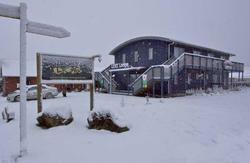 Station Lodge is located in the beautiful alpine town of Ohakune adjacent to the world renowned Tongariro National Park. A place for all seasons; the lodge is warm and inviting and is in close proximity to spectacular walks, including the Tongariro Alpine Crossing (Best Day Walk in New Zealand), ski fields (Turoa 20 minutes and Whakapapa 40 minutes), and the mighty Whanganui River. Station lodge offers accommodation with modern facilities to suit independent travellers, couples, families, and groups, who are looking for a welcoming and personal experience when visiting Ohakune, New Zealand. Whether you choose to stay in a double room or the shared dorms, you will be impressed with the standard of facilities and service offered. We offer freshly cleaned linen, comfortable beds, heating, and shared facilities. There are two lounge rooms, superbly comfortable with plenty of couches, a fuzeball table, sizeable movie collection, plenty of games, 1 Internet terminal, wireless, and a big warm fire. All that makes this the perfect chill out place to sit around and make new friends. Plenty of private off street parking available. Your friendly hosts Darren and Jane can organize transport to and from Station Lodge - whether it's to the Tongariro crossing, Ruapehu, the famous Whanganui River trip, or a scenic tour of Ohakune. 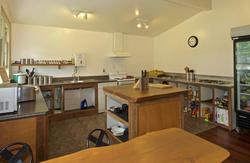 Mountain bike hire (to explore the tracks) is available directly from the Lodge. Your hosts are passionate about your enjoyment of the region and the comfort of your accommodation, and will ensure your visit is an unforgettable and happy experience. By car, Ohakune is approximately 4-1/2 hours from Auckland and 3-1/2 hours from Wellington. InterCity Coachlines provides a bus service departing Auckland and Wellington via Waiouru. Another service operates between Auckland and Palmerston North. The Overlander departs Auckland and Wellington and journeys through the Ruapehu District. The timetable provides the opportunity for day trips from Wellington or Auckland and return. Station Lodge is located 100m from the Train Station.